I live in joggers. Before baby, and even more so, after baby. Changing into joggers from work clothes used to be the first thing I did when I came home. These days? I won't lie - sometimes I even pop out of the house in what I would consider a "nice" pair. It's all about lounging! 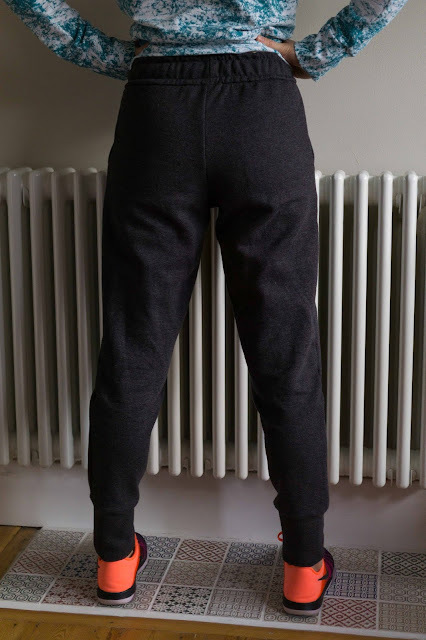 It is quite surprising, therefore, that I had not sewed up a pair of joggers until now. Don't get me wrong. 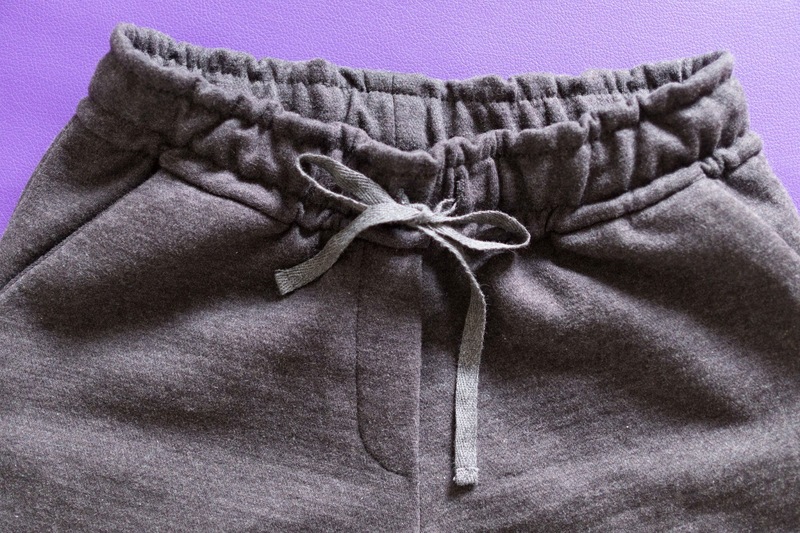 I had every intention of sewing joggers, for years in fact. Want proof? These joggers are sewn with a lovely sweatshirt fleece fabric that I bought for this project from the Garment District 4.5 years ago. I have no idea what's taken me so long! 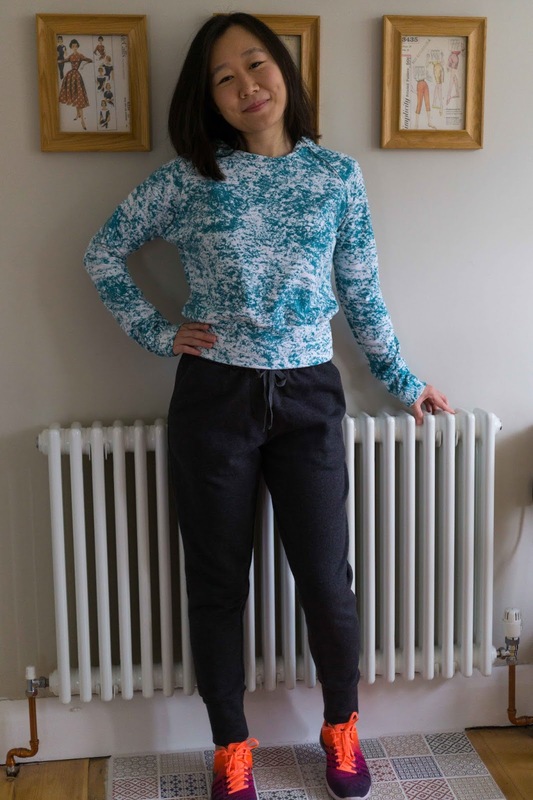 The pattern is the Papercut Anima Pant. It was a toss-up between this and the True Bias Hudson. Both have a modern tapered shape, cuffs, elasticated waistband and pockets, but I think the faux fly front swang it for me. I do, however, have the Hudson Men pattern in my (PDF) stash, so it'll be interesting to compare notes when I get to make a manly pair for my hubby. The construction was straightforward, even the faux fly was easy to follow. The only crisis was that when I shortened the legs, I took off a whopping 5 inches rather than the intended 2.5 inches. I blame baby brain! I almost threw the unfinished project in the bin. Seriously, there were almost tears. 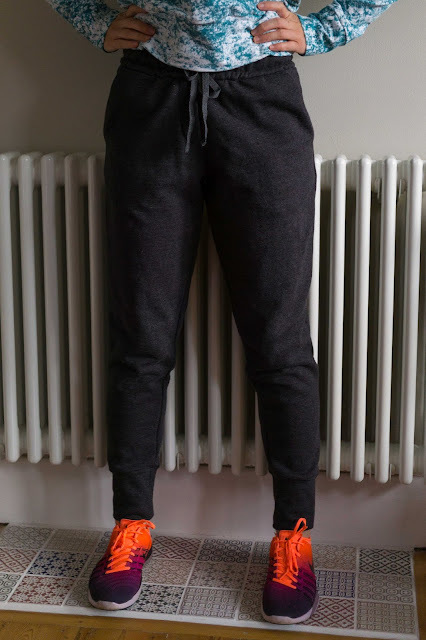 However, when I compared the length to a RTW pair of joggers that I love, I decided to soldier on, and applied minimal seam allowances when attaching the cuffs. And you know what? The length is actually perfect. It just begs the question - how short AM I?! The only other thing on the construction was that I was not 100% sure whether to use a stretch stitch when topstitching the waistband to create the channel for the tie. After testing it on some scrap fabric, I decided that a straight stitch would do the trick, stretching as a sew, especially given that my fabric isn't that stretchy to begin with. I'm pleased to report that it worked just fine. 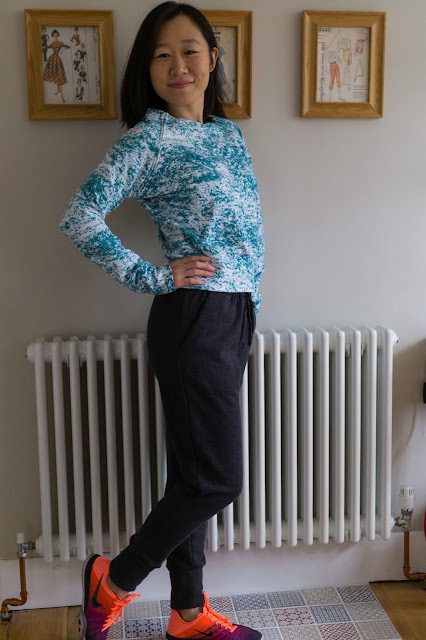 And here I am, in my comfy new Papercut outfit: Anima joggers teamed up with the Undercover nursing sweatshirt. Match made in heaven.